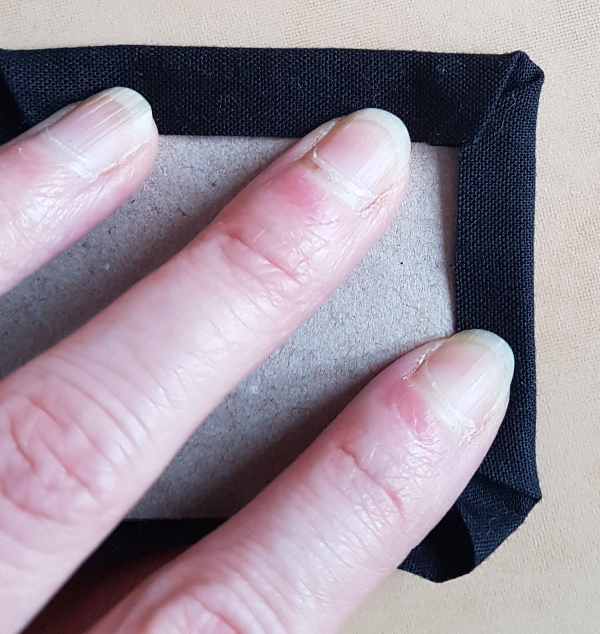 This same process will work for any small textile that you want to turn into an ornament: a cross stitch, an embroidered motif, a small quilt block or a piece of much loved fabric. 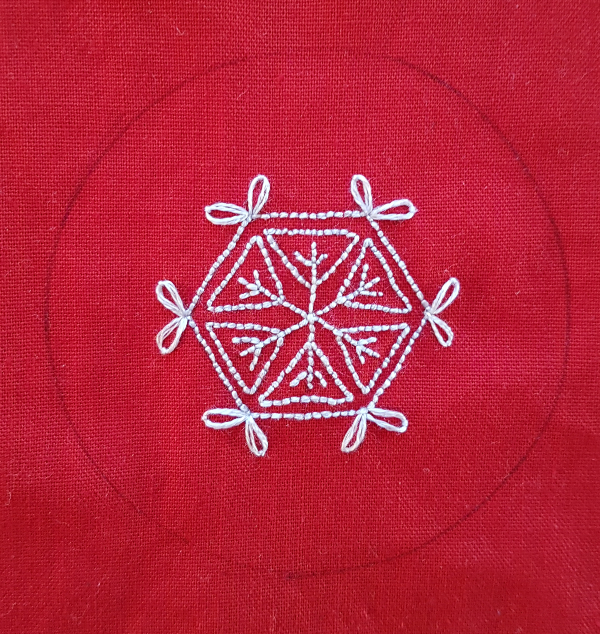 I finished these snowflake ornaments as circles, but most of the process is the same for any shape. The one step that's different, I'll show how I do it for squares and rectangles, too. I've never tried triangles, but I'm guessing it would work the same as the squares and rectangles. To begin with, decide how big you want the finished ornament to be. For circles, I find things in my kitchen that are the right size. In this case, a small glass was just right for the snowflakes. For squares and rectangles, I draw the shape onto a piece of thin cardboard, like a cereal box, and cut it out. Trace around the template, centering your design. 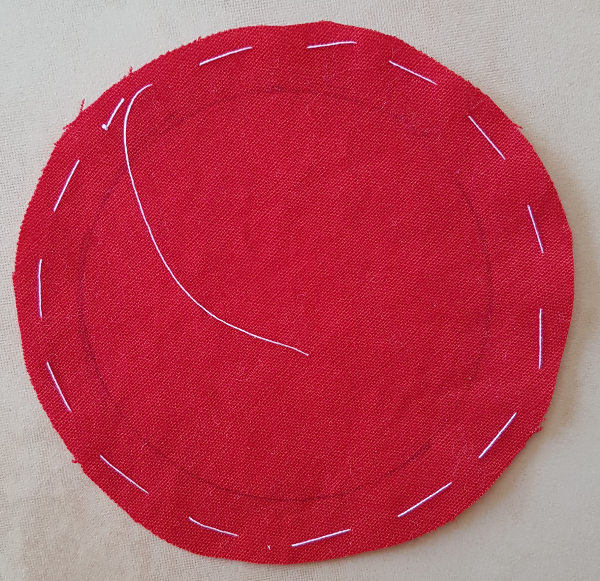 Leaving a seam allowance of ¼" - ½", cut out around your design. I generally find that the more generous seam allowance makes for easier assembly, especially for squares and rectangles. two pieces of batting. 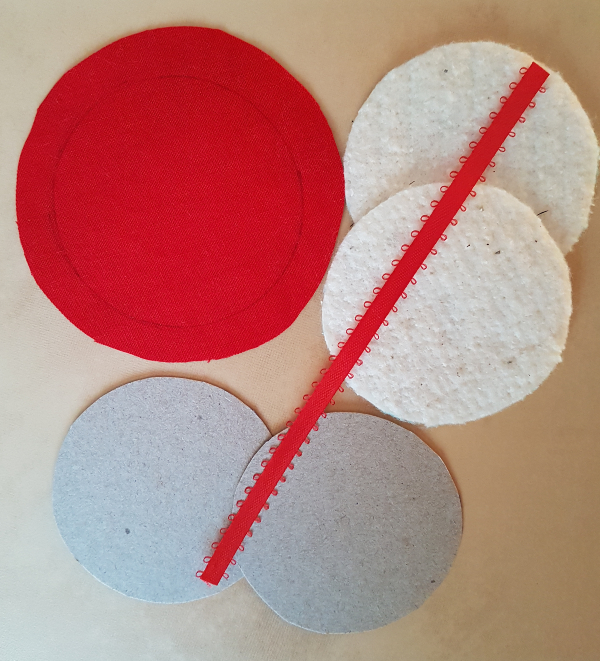 Trace the template onto the batting and cut out on the line. FYI, this is why I'm always saving small pieces of batting. Of course, I could probably decorate a whole town's worth of trees with the scraps I have, but it seems wrong to throw out a piece that is big enough for an ornament! a piece of ribbon about 5" long. 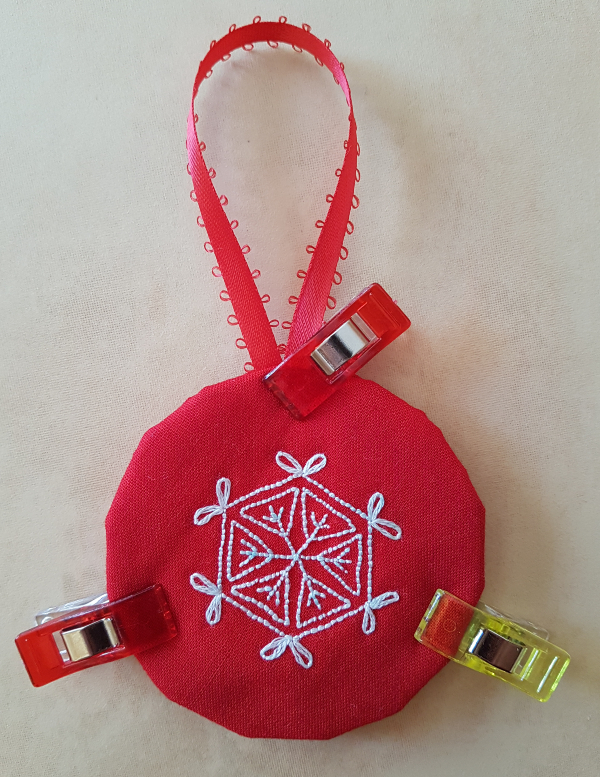 You can go longer or slightly shorter, depending on how long you want the ornament hanging loop to be. 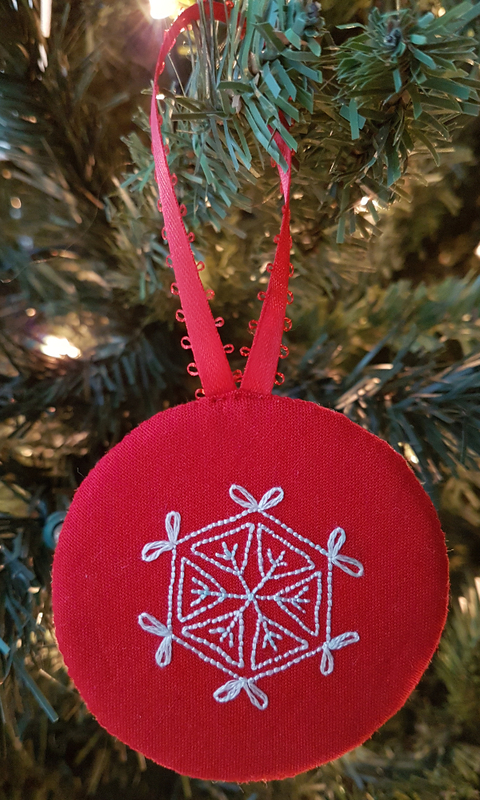 For circular ornaments, stitch a row of basting stitches around the edge of both the front and back pieces. 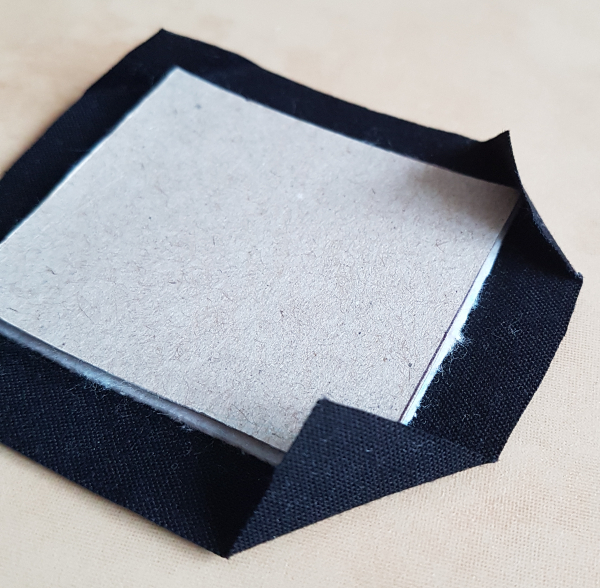 Layer a piece of batting and a piece of cardboard on the wrong side of both the front and back pieces, placing them on the drawn lines. 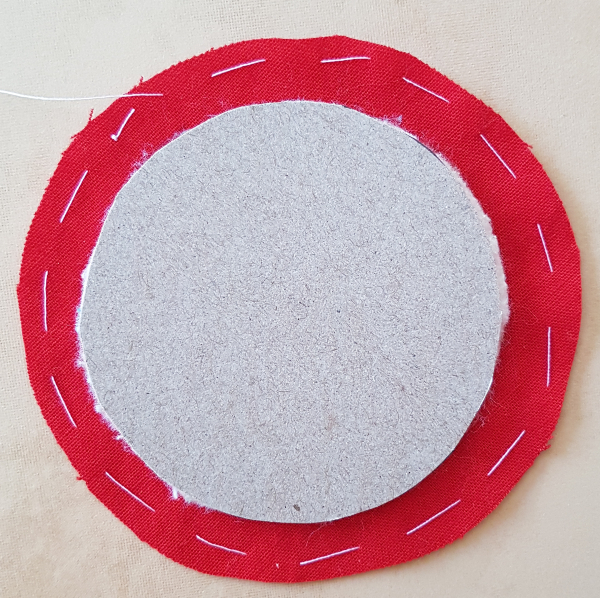 Pull the basting stitches tight to draw the fabric tight around the cardboard circle. Stitch a small backstitch to secure the thread, then press both pieces. Then fold in the sides and press. 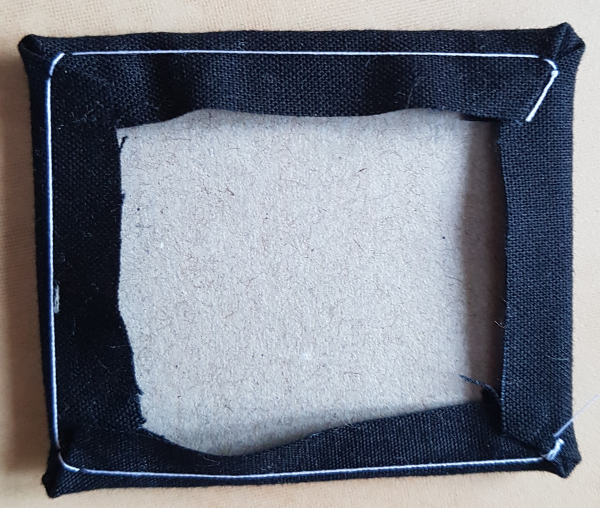 Stitching only through the fabric on the back, take a couple of stitches in each corner to secure the folds. 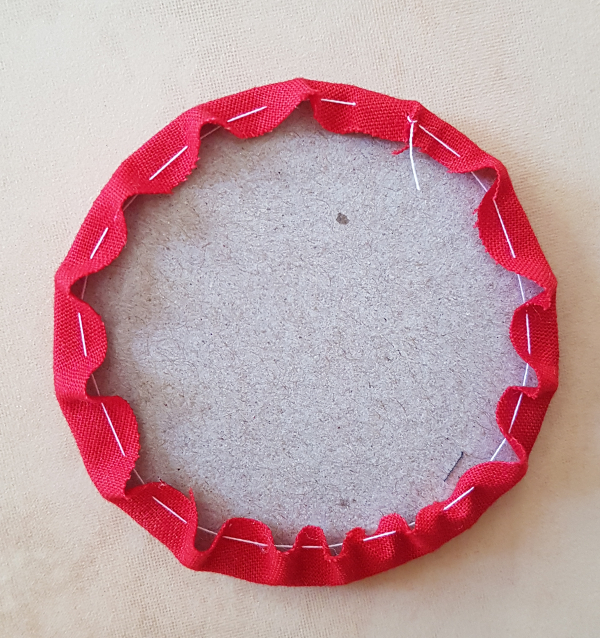 Arrange the ribbon between the two pieces and use clips to hold the layers together. 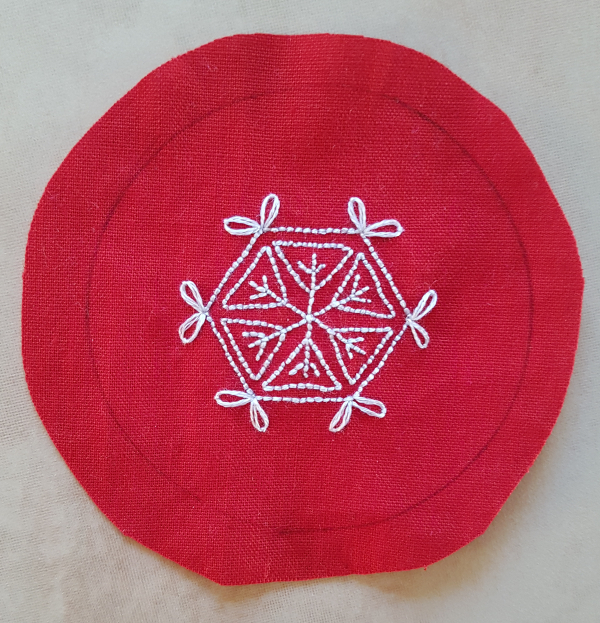 Using thread that matches, whip stitch the pieces together. If my two pieces of fabric aren't the same colour, I match the thread to the front fabric. 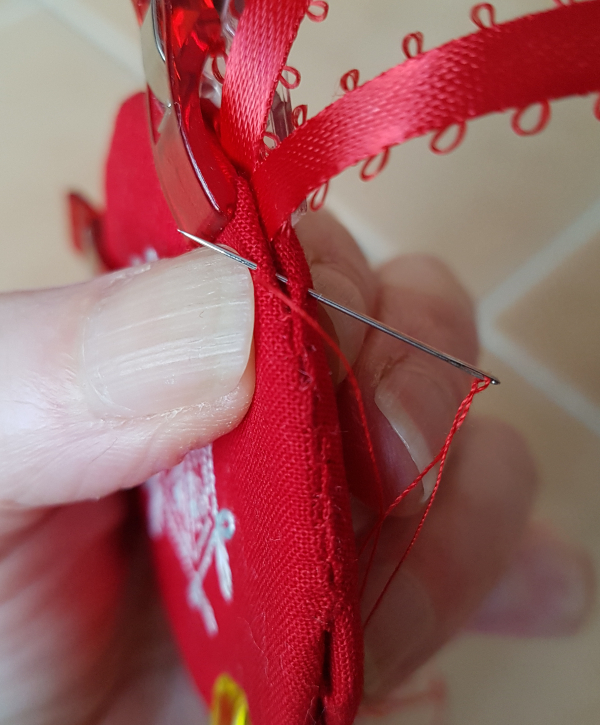 When you come to the ribbon you won't be able to whip stitch, so just take small stitches back and forth until you're past it and then continue with the whip stitch. Now if you'll excuse me, I'm still trying to finish the boys' cross stitches (one left to go!) so their ornaments can be hung on the tree Christmas Eve. Thanks for sharing. The ornament looks great. I love the red and white...so festive! Thanks for sharing your process! Have been wanting to give the kids a tatted snowflake each year but knew they wouldn't hold their shape for very long. This will work! Thank you for flipping the switch in my brain! This is a great way to finish ornaments.... I hope I can remember this post next year when I have ornaments to make for the grands. Great tutorial Leanne. Thanks for taking time to share this when you must be so busy :-) Happy Christmas! Thank you so much for your tutorial. I'm sure I will want to make some next year, well actaully I could start right now seeing that time passes so very quickly!